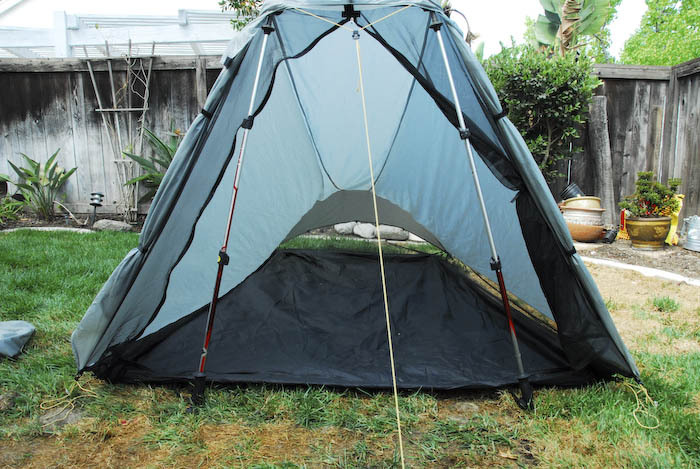 The Squall 2 is a non-free standing two person tent that utilizes one or two hiking poles to pitch. 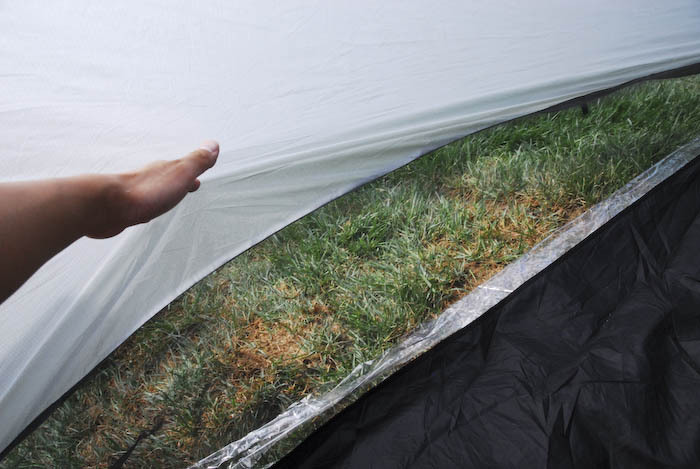 The tent packs small and has a minimum foot print in your pack. 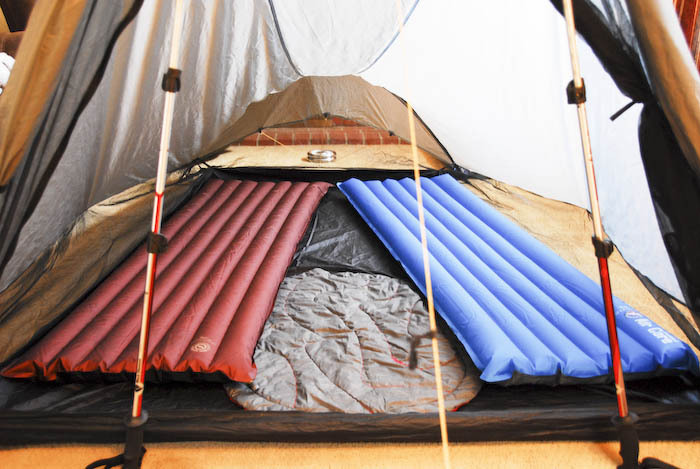 It has a great space to weight ratio, making it popular with ultralight backpackers. Please note the photos don’t show the tent complete taut. It was 95 degrees outside at 9:00 AM in the morning when I was pitching the tent in a few of the photos. Because of the shape of the tent, headroom is lost. The catenary roof slopes down towards the foot of the tent, reducing the usable head room. Even with the extra height advantage over other 2 person tents, we still found the Squall 2 is short of head room, making it somewhat difficult to work with our gear towards the foot of the tent. 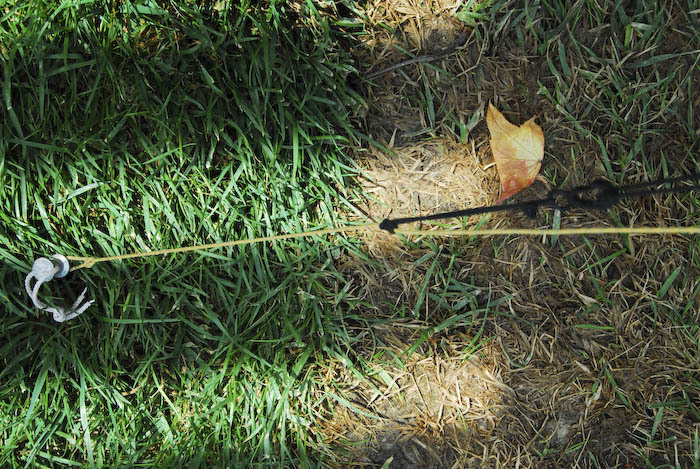 We would constantly hit our heads on the roof, causing the tent stakes to become loose. There is no rain fly. The single wall acts as a rain fly. 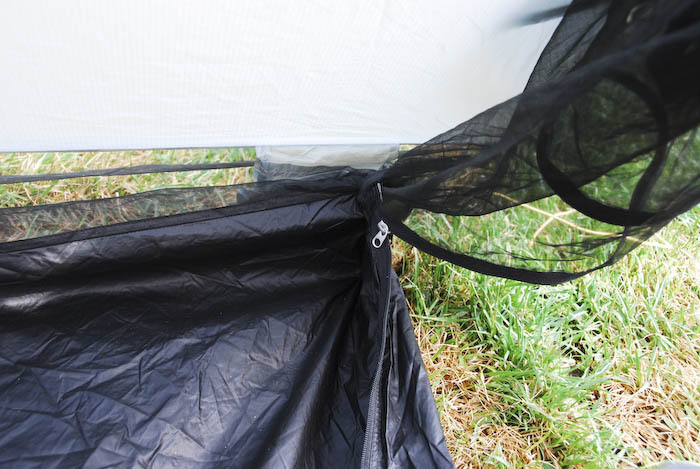 While the design reduces head room, Tarptent really designed the tent to be strong and aerodynamic. 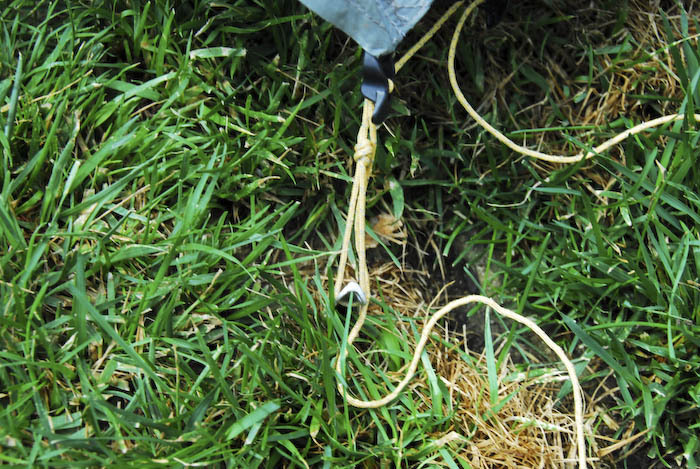 The tent sheds water well and reduces drag. In addition, the catenary roof also creates a very strong and stable structure against high winds. 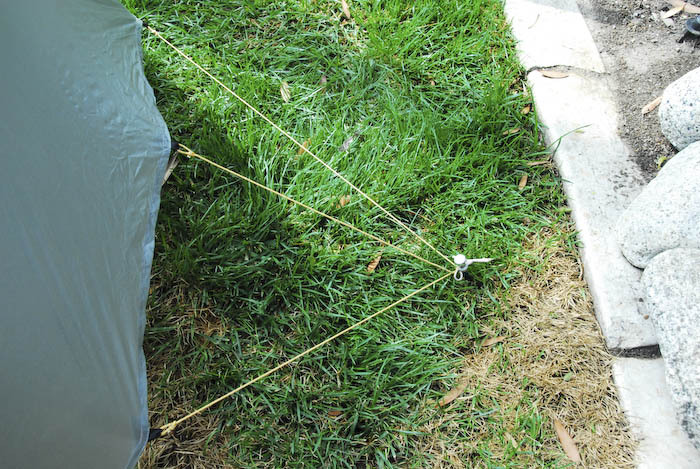 There are many options in the price similar to the Squall 2, but there is no other tent that will offer the price, weight, and space ratio. When stepping inside our Squall 2 and then moving over to our Fly Creek UL2, you quickly notice the space difference. 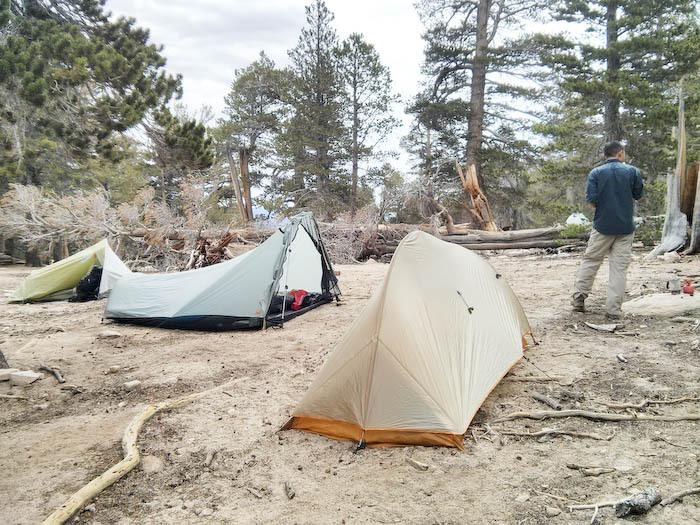 However, with the weight and space, comes a price – site selection is extremely important and should be on the top of your mind when you are trip planning with this tent. 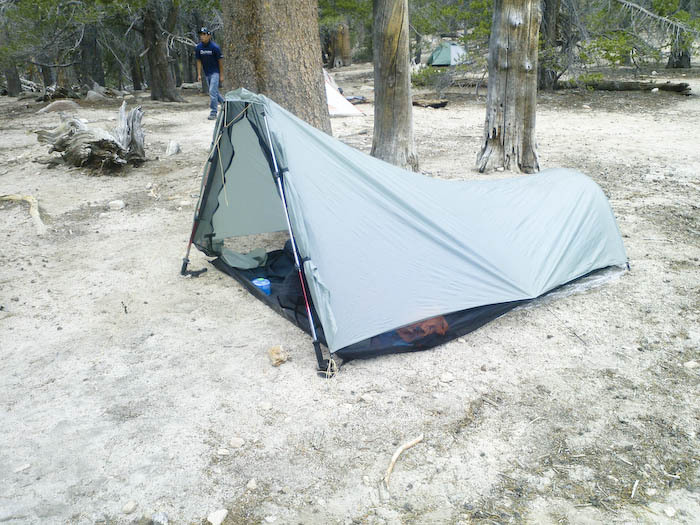 This entry was posted in Gear Reviews and tagged backpacking, free standing, gear, gear review, Hiking, outdoors, review, tents by hikenoworklater. Bookmark the permalink.